Buy a piece of the Shore, it's a good in"VEST"ment! Bonnie Vest and Will Vest specialize in waterfront properties on the Middle Peninsula (Deltaville, Mathews and Gloucester) as well as the Northern Neck areas of Virginia. Will grew up in the Richmond area and graduated from Highland Springs, VA and the American International School in Austria. After graduation, he served and later retired from the City of Newport News as a Firefighter/Medic.Will earned his Real Estate License in 1995. 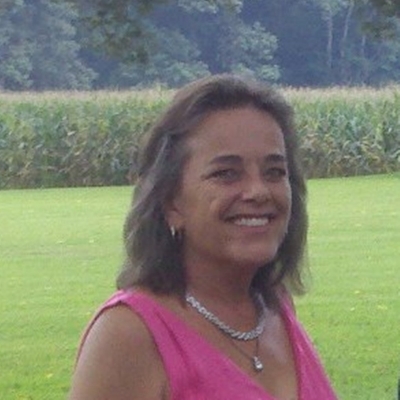 Bonnie grew up in Northern Virginia (Manassas) and relocated to the Tidewater area during her high school years. Bonnie has enjoyed the Middle Peninsula and its estuaries for the last 40+ years. Bonnie has been committed to the Sales industry throughout most of her career. She was a Manager and Yacht Broker selling luxury boats from 1989 to 2002. In February, 2002 Bonnie earned her Real Estate license, at which time she teamed up with her husband, Will. Bonnie and Will have completed the Accredited Buyers Representative course. Both have been consistently recognized as a top agent by Long & Foster Realtors as well as the Chesapeake Bay and Rivers Association of Realtors and the Northern Neck Association of Realtors. Deltaville real estate — use DeltavilleRealEstate.com to find real estate in Deltaville and the Northern Neck as well as real estate in other cities in Virginia. The Vest Team website provides comprehensive real estate guides with up-to-date information about housing prices, latest Deltaville real estate trends, market activity, and neighborhood information. Before buying a home, contact Bonnie Vest or Will Vest to research real estate investments. Understanding the Deltaville real estate market is your first step to buying a home in Deltaville, Virginia. Our real estate expertise will give you a valuable overview of the Deltaville real estate market—find Deltaville properties, sales statistics, real estate price trends, real estate market activity, comparisons of Deltaville schools or Virginia schools, and general demographic information for Deltaville, VA. Our Deltaville Real Estate website combines a Deltaville map with a detailed list of Deltaville neighborhoods, ZIP codes, and nearby cities to help kick-start your search for a home in Deltaville. Wonderful river cottage located in Deltaville and a short walk to Deltaville's newest restaurant, Deltaville Raw Bar. This 3/4 BR, 2 bath home has an additional room upstairs for overflow guests or bunk room as well as a sun room. Waterfront on Broad Creek leading to the mouth of the Rappahannock River and the Chesapeake Bay. 6' x' 56' Pier with an easy 5' water depth at mean low tide, a 24' x 39' covered boat house, and 80' of rip rapped shoreline. The 16' x 41' Waterside Deck is great for watching all the boat activity that Broad Creek offers. Full length deck on back of home and small porch on front. Zoned Waterfront Commercial with many possibilities. Next to Marinas and boat yards. "We are writing to express our complete satisfaction with Bonnie Vest as our realtor. She did an excellent job in all phases of our recent purchase of a home in Deltaville. She took a real interest in finding just the right property for our family. We greatly appreciated her knowledge of the changing market and advice in putting our offer together. Bonnie did a great job coordinating all the inspections to ensure that we closed the purchase on time. We would highly recommend her to anyone looking for an experienced, professional realtor." "
" Bonnie, thank you for the great service you rendered in helping us to sell our home. We had our home listed with 2 other real estate firms prior to listing with you. You brought more people to see our home than either one of the realtors prior to listing with you. Your advertisements on the internet subsequently brought our Buyer. You are always so pleasant to talk with, always professional, and graceful under fire in the busy seasons of life. Your calm manner is very reassuring during the process between negotiating a contract and closing the sale. Anyone would be blessed to have you as their listing agent and Realtor." "
""Bonnie Vest, our girl Friday! Regardless of what our real estate needs have been, Bonnie Vest has solely performed as the perfect consummate individual to satisfy all of our real estate needs. Whether in the market for a new property or selling, no one knows the real estate market better than Bonnie Vest! As a career professional, Bonnie is equally prepared to orchestrate negotiations toward transactions on a Regional level as well as properties local to the Middle Peninsula and Northern Neck. Throughout every real estate experience, Bonnie has always helped us achieve our financial goals. Working with Bonnie has been a positive experience on four real estate transactions. We trust Bonnie Vest with all our real estate needs. Bonnie Vest is the Best!""